Larivière, V. et Macaluso, B. (2014). Researcher's publication patterns and their use for author disambiguation. Dans Y. Ding, R. Rousseau et D. Wolfram (dir. 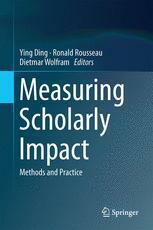 ), Measuring Scholarly Impact - Methods and Practice (p. 147-167). Bâle: Springer. Over the recent years, we are witnessing an increase of the need for advanced bibliometric indicators on individual researchers and research groups, for which author disambiguation is needed. 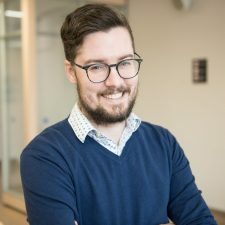 Using the complete population of university professors and researchers in the Canadian province of Québec (N=13,479), of their papers as well as the papers authored by their homonyms, this paper provides evidence of regularities in researchers’ publication patterns. It shows how these patterns can be used to automatically assign papers to individual and remove papers authored by their homonyms. Two types of patterns were found: 1) at the individual researchers’ level and 2) at the level of disciplines. On the whole, these patterns allow the construction of an algorithm that provides assignation information on at least one paper for 11,105 (82.4%) out of all 13,479 researchers—with a very low percentage of false positives (3.2%). Mis à jour le 26 juillet 2018 à 13 h 17 min.